As part of the England squad that took the country to victory in 2003 World Cup, Matt is an institution in the world of rugby. With 77 caps under his belt, he is England’s most capped scrum half, captaining the side 9 times. He played for Northampton and the London Wasps as well as for England, and represented the British & Irish Lions on three tours. During the 1998 tour to Australia and New Zealand – ‘The Tour from Hell’ – Matt was congratulated on his leadership. He also captained the England Rugby team to win the Six Nations Championships in 2000. 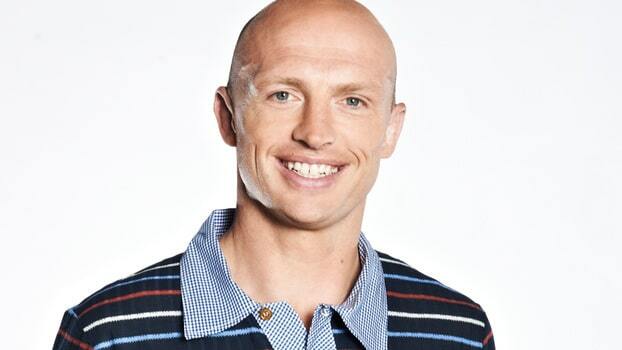 In 2011 Matt produced his own rugby DVD entitled “Matt Dawson’s Rip Roaring Rugby” with personally chosen footage and highlights of the game. Matt is regarded as one of the more outspoken rugby icons and he has had substantial experience in written journalism. His position as Team Captain since 2004 on BBC1’s much loved flagship sports quiz “A Question of Sport” has elevated him from a well-known rugby player to a national TV personality, and the show continues to average 8+ million viewers per week. Matt continues with his rugby column for the Daily Mirror this year. 2012 saw Matt continue to work across BBC Sport’s rugby coverage, contributing to their 6 Nations coverage and presenting online content in the form of the popular “Dawson Debates” which he continued into 2013. In the Olympic year, Matt joined the BBC presenting team where he covered the cycling from the Velodrome for BBC Radio Five Live. In 2013, Matt joined the BT Sport team as a rugby commentator and pundit alongside some of his former England teammates and also makes regular appearances on the ‘Rugby Tonight’ show with many of his fellow 2003 team mates. 2013 saw the release of “Matt Dawson’s Lions Tales”, which gives rugby fans a satisfying dose of wonderful Lions anecdotes, epic stories of triumph and despair. Since winning Celebrity Masterchef in 2006 Matt has further pursued his love for food and in 2011 filmed two new food-based shows; “Matt and Allegra’s Big Farm” for UKTV’s Good Food channel and “Tesco’s Real Food Family Cook Off” for Channel 5. 2011 also saw the return of “Monster Munchies” on Good Food, a channel that Matt has formed a strong relationship with having previously presented ”Mitch and Matt’s Big Fish”. Matt has been a brand ambassador for Young’s Seafood and has roused his creativity and knowledge by partnering with food brand Tulip to develop a range of fuller flavoured sausages. In December 2012, Matt teamed up with Bordeaux Wines to help produce a series of video clips and booklet that features exclusive food and wine pairings that featured in in The Sunday Telegraph and The Sunday Times. 2014 saw Matt become the new face of Bioglan Superfoods, bringing his favourite superfoods such as Chia, Flaxseed and Acai Berries to the public and encouraging healthier lifestyles. Matt is married to wife Carolin and they have two young sons, Alex and baby Sam, born in early 2014. Matt is available for Q&A, after dinner, motivational and leadership speaking.